Posted by Kim Ciuffreda on Friday, September 21st, 2018 at 11:29am. 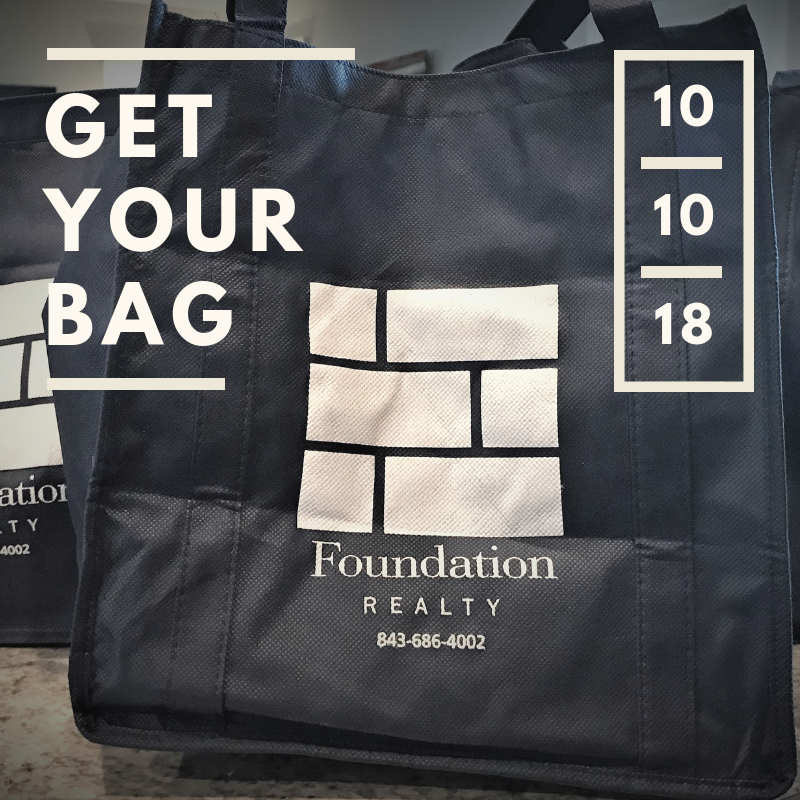 STOP BY OUR OFFICE TO RECEIVE YOUR FREE REUSABLE BAG! Beginning November 1, all retailers are prohibited from providing customers with single-use plastic carryout bags. An Ordinance passed by the Hilton Head Island Town Council affects all grocery and convenience stores, restaurants and other retail establishments. The goal behind the single-use plastic carryout bag law is to improve the Town's environment, our ocean and waterways, and to protect our marine life. Marine birds and sea turtles, for instance, mistake plastic bag pieces as food. Plastics can cause blockages in the animal's digestive tract and subsequently lead to death. Under the new Ordinance, businesses are encouraged to make reusable bags available for sale or offer recyclable paper carryout bags for distribution. If you or an organization you are a member of hosts any event on Town property, you're prohibited from providing single-use plastic carryout bags at the function. As defined in the Ordinance, single-use plastic carryout bags include compostable and biodegradable bags but does not include reusable carryout bags. Reusable bags are made of cloth, other washable fabric or durable materials specifically designed and manufactured for multiple-use. Meat, produce and bakery bags. Pet waste, yard waste and garbage bags. Bags provided by pharmacists or veterinarians to contain prescription drugs or other medical necessities, as required by the U.S. Food and Drug Administration (FDA). Bags for items sold in bulk such as bulk food and bulk hardware items. Bags or plastic wraps for flowers, potted plants or items where dampness may be an issue. Bags of any type that a customer brings to the store for his or her own use to carry away goods that are not placed in a bag provided by the store. Bags comprised of recyclable plastic, with a minimum thickness of 2.25 mils.